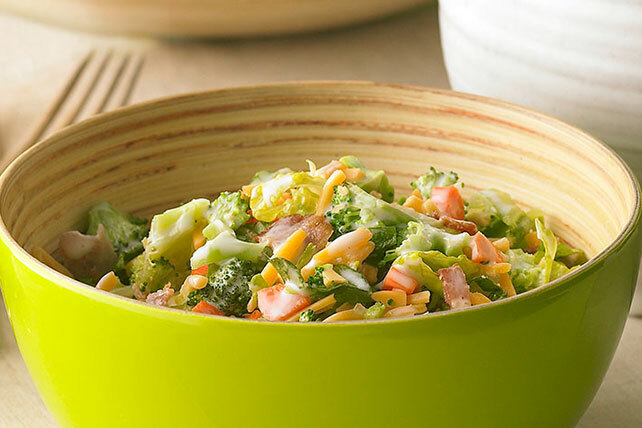 Utilize bacon and cheese in our Garden Chopped Salad Recipe. Our Garden Chopped Salad Recipe is so tasty, you may not realize it’s a Healthy Living recipe. Toss lettuce with broccoli, carrots and dressing. Top with cheese and bacon. A 10-oz. pkg. of torn romaine lettuce will yield 6 cups-- just what you need to make this flavorful salad.